WASHINGTON: Prime Minister Nawaz Sharif told a gathering of US investors on Monday that Pakistan was ready to privatise Pakistan Steel, PIA and a number of other industries. During a brief Q & A session, a US businessman asked the prime minister why the Pakistani currency continued to fall. Mr Sharif asked the finance minister to respond and he assured the prospective investors that the government had already taken steps to arrest the decline. �And very soon, the rupee will stabilise at less than 100 to a dollar,� Mr Dar said. 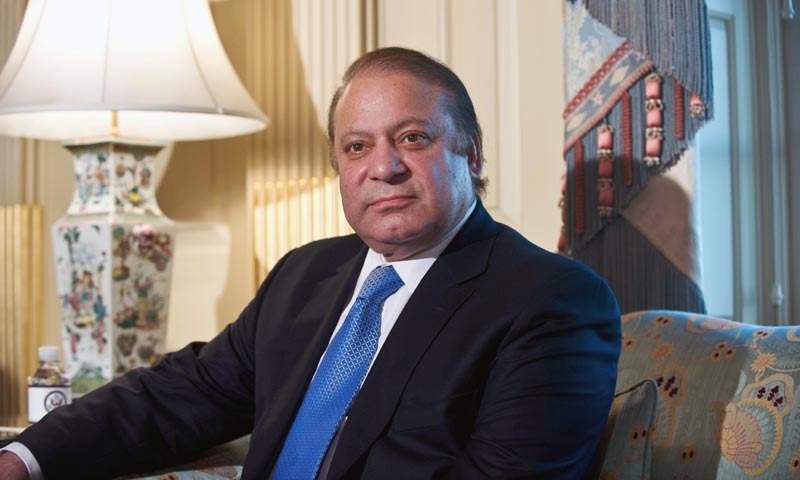 Earlier in his address to the US-Pakistan Business Council, the prime minister urged them to invest in Pakistan. �I know that as business entrepreneurs you are always on the look-out for new markets and sectors for investment,� he said. �I am here to tell you how and why Pakistan is that new and emerging place, to do business with and invest in.� Mr Sharif reminded the businessmen that in a recent report the council had described �Pakistan as a giant you haven�t considered� for investment. �There are few places in the world today that so uniquely offer the promise of land, geography and people, as does Pakistan,� he said. But the prime minister acknowledged that the country also faced a number of daunting challenges. �Acute energy shortages, a week economy and militancy do post huge problems for Pakistan,� he said, but assured prospective investors that his government had a �well thought out policy and plans of action�, to overcome these problems. Besides dealing firmly with the challenges of terrorism and extremism, the government was also �keeping the doors open for those who are willing to be reconciled with�, he said. The prime minister said his government had inherited a broken economy with average GDP growth of 3 per cent in the last five years, lowest investment to GDP at 14 per cent, unbearable federal fiscal deficit of 8.2 per cent, mounting 63.5 per cent public debt to GDP and an all-time low of 8.5 per cent tax-GDP. �Our government has taken immediate stability measures and structural reforms and has embarked upon a clear roadmap of bringing macro-economic stability in Pakistan in the next three years,� he said. The prime minister said Pakistan was the most urbanised country in South Asia and with over 180 million people, it was also the sixth largest country in the world. �Nearly 60 per cent of our population is under the age of 30, thus offering huge demographic dividends,� he said. By 2025, Pakistan will be one of the six countries in the world with a 100 million strong middle class, ready to seek and afford better lifestyles and living standards, he added. The government had already taken firm decisions on a number of major power projects totalling around 10,000MW that will be able to meet the supply-demand gap in the power sector. Other ambitious projects include the Turkmenistan-Afghanistan-Pakistan-India gas pipeline, the Iran-Pakistan Gas Pipeline, the Central Asia South Asia-1000 electricity project, Pakistan China Economic Corridor, the Torkham-Jalalabad Road and the Kunar Power Project. The prime minister said that Pakistan�s proximity to two of the world�s largest markets � China and India � placed it right in the middle of where all the action was going to be in the years to come. He said that the energy that would fuel growth in the region and beyond, was also in abundance not just up north of Pakistan in the largely untapped and locked Central Asia, but also down south in Iran, the Gulf and the Middle East. On the external front, he said, his government was determined to pursue regional peace and security, as its top most priority. �We seek good neighbourly relations with India, Afghanistan and the rest of the countries in the region. �This is why I have reached out to the Indian prime minister and sought to pursue peace and full normalisation of relations with our eastern neighbour,� he said. He said he had also assured Afghan President Karzai that Pakistan would do all it could to support the realisation of peace and stability in Afghanistan. �With the United States, Pakistan wants good relations that can benefit the peoples of both countries,� he said.